Mr. Nat Hutanuwatr (second from right) and Mr. Somboon Lertsuwannaroj (right), executives from Impact Solar, together with Mr. Supoj Wanna (middle), Chief Executive Officer of JAS Asset Public Company Limited, and his team including Mr. Supreecha Angtheeranuwong (left), Chief Marketing Officer, and Mr. Ekachai Sukumvitaya (second from left), Chief Financial Officer, have attended the signing ceremony for the installation of solar rooftop system at JAS Asset’s new community mall, JAS Urban Srinakarin, which is scheduled to open late this year. 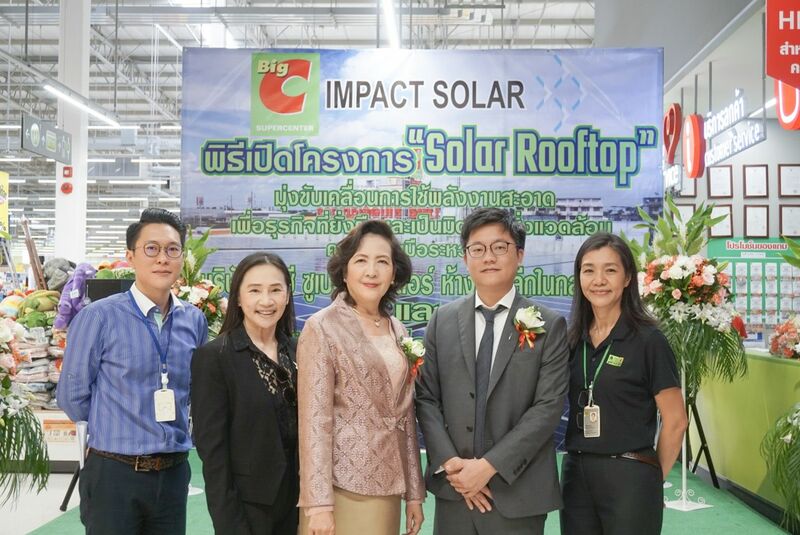 By having Impact Solar’s solar rooftop installation, JAS Urban Srinakarin will become energy conservation building that can generate 640,000 units of electricity per annual while reduce 450 metric tons per year of carbon dioxide. 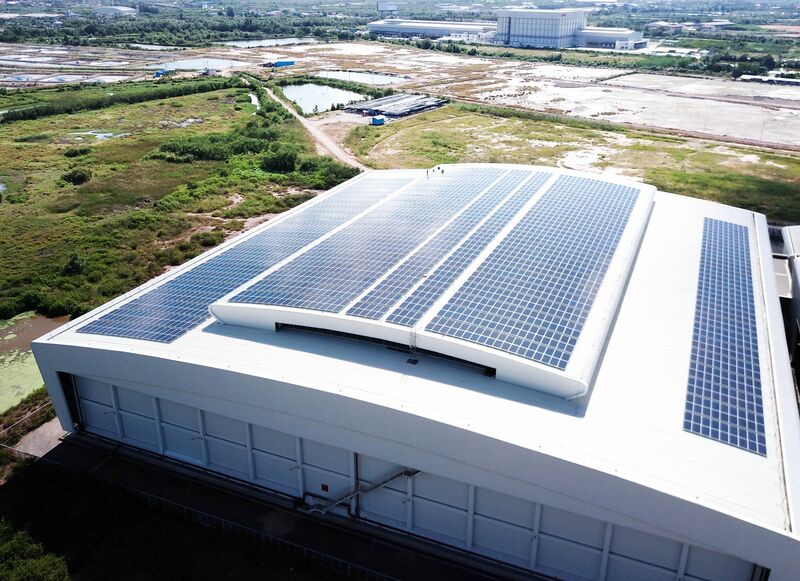 At JAS Urban Srinakarin, Impact Solar will install solar rooftop facility under its unique Solar PPA package scheme in which no initial investment cost is required from the property owner and only the actual amount of electricity which is consumed is paid, and at a discount tariff rate, for the entire project period of the project. In addition, the ownership of the system will be transferred to the property owner at the end of the project period for smooth continued use of the energy. Apart from saving expenses on electricity bills, the installation of this clean energy system reflects JAS Urban Srihakarin’s concept as environmental-friendly modern community shopping mall.